Your gift to the College of Biological Sciences Annual Fund provides critical support where it is needed most. Gifts of any amount are greatly needed and appreciated. Through the generosity of alumna Deborah Neff ’76, gifts of $500 or more will be matched 1:1 to encourage membership in the Dean’s Circle in the 2018-19 academic year. Please join us today! Donors of $1,000 or more each year become members of the Dean’s Circle and enjoy a number of special benefits. This includes invitations to exclusive events and receptions, lectures by esteemed faculty and visiting lecturers, as well as receiving insider news and updates. Members also have unique opportunities to meet the dean and interact with the College leadership team throughout the year and at regional events. 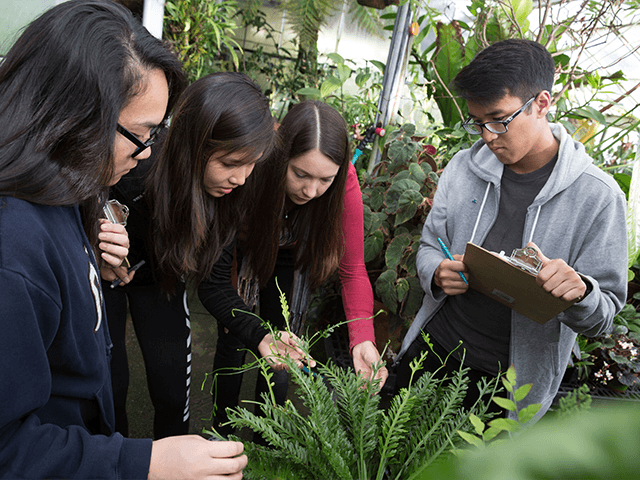 Your gift to the College of Biological Sciences provides critical support for students, faculty and our research and learning environments.